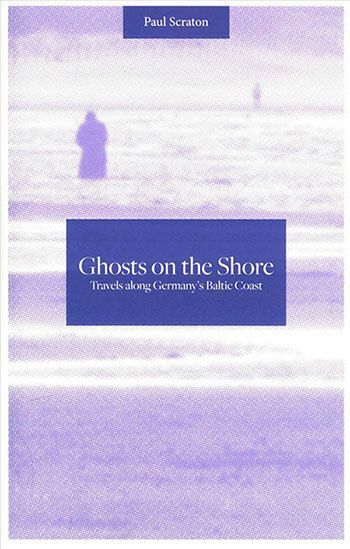 Nicky Gardner, co-editor of hidden europe magazine, reviews 'Ghosts on the Shore' by Paul Scraton. The book was published in June 2017 by Influx Press. It gives rare insights into Baltic landscapes and history. There are many excellent books which, despite being most enjoyable to read, still nonetheless fade quickly from memory. There are others which happily linger in the mind. Ghosts on the Shore is most definitely in that latter category. I read it when it was first published in June this year; since then barely a day has passed without Paul Scraton’s book flickering across my consciousness. And there must have been a dozen occasions when I have gone back to the book, searching for this or that reference, or just dipping randomly into the text. Ghost on the Shore is published by Influx Press, a youthful London-based publishing house, which relies heavily on crowdfunding to bring titles to print. Influx specialises in stories from the edges of culture and the edges of geography. In that sense Ghosts on the Shore, a book full of liminal qualities, nicely fits the Influx remit. 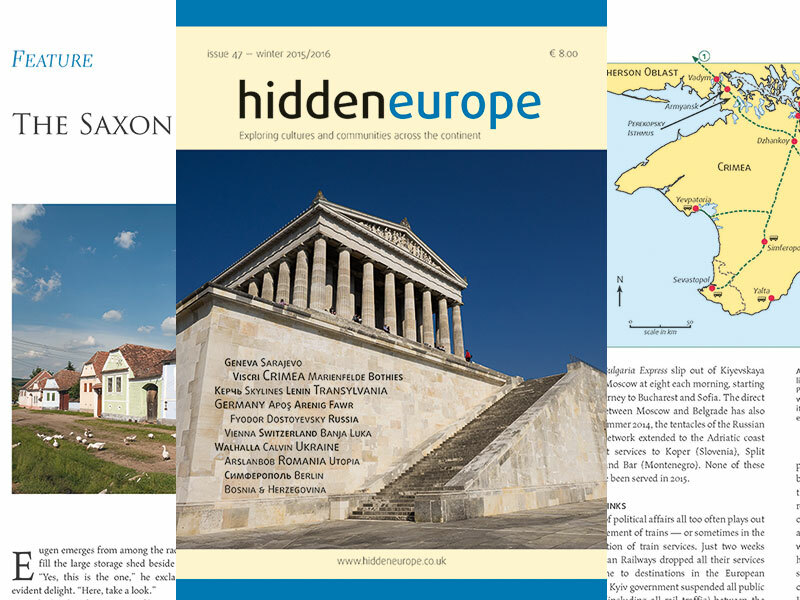 Its author is Paul Scraton, a Lancastrian by birth and a Berliner by choice who has, from time to time, penned some splendid pieces for hidden europe magazine. So it’s no surprise that Ghosts on the Shore builds on many qualities which are central to hidden europe – an appreciation of history, a sense of place and an eye for landscape. Ghosts on the Shore is ever thoughtful, sometimes provocative and always a fine read. At one level it is a travelogue, an account of a journey along that part of the Baltic coast which was, until German unification in 1990, in the territory of the German Democratic Republic. The GDR, to all intents and purposes annexed by West Germany, slipped into history, but there are still traces of East Germany to be found – and Paul Scraton has a sharp eye for these things. He is most at home in landscapes of dislocation and despair, and there’s not a lot of sunshine in this book. Nor indeed in much of Paul’s work. This is a man whose blog is called Under a Grey Sky. But Paul’s delicate, probing manner, and his ability to blend the tragic with the trivial, sheds light on the fractured history of this unsung corner of Germany. This is a deeply thoughtful, sometimes troubling, foray into psychogeography. It reminded me of Iain Sinclair’s London Orbital (2002), Philip Marsden’s Rising Ground (2014) and Robert Macfarlane’s The Old Ways (2012). Paul Scraton’s open-mindedness, his nuanced appreciation of history and his keen grasp of issues of belonging and identity, all help lift Ghosts on the Shore beyond mere travelogue. This is a book which ponders the very nature of what it is to be German, and what it was to be East German. In that sense, Ghosts on the Shore picks up – in a Baltic context – themes raised on a wider geographical canvas by Neil MacGregor in his magisterial work Memories of a Nation (2014). Paul Scraton’s book is remarkable for the manner in which historical detail is woven into his accounts of a journey that starts near Lübeck and meanders east, broadly following the coast, to the island of Usedom which is split by the German-Polish border. There is a strong memoir element, and even a perfectly executed foray into fiction. Throw in a wealth of literary and cultural references, all handled in a light-touch way, and you have a very fine book – one that is often erudite, invariably good-humoured and appropriately reflective on some of the grimmer episodes in German history. Insofar as there are shortcomings, they rest at the door of the publisher rather than the author. The layout is so simple as to be at times even primitive. This is a book which deserves far better maps, much better handling of images and an index. Each time I dip back into the book to recall this or that particular place or historical anecdote, I never quite find what I am looking for. And, when it goes to a second edition, as it surely should, why not a few endnotes to encourage readers to follow up the themes and issues raised by the author? But these are details, details. Ghosts on the Shore is one of the best books I’ve read this year. Paul Scraton should be encouraged to go on more long walks. Book data: Ghosts on the Shore is published by Influx Press, London. June 2017. ISBN 978-1-910312-10-0. Trade distribution is through Turnaround Publisher Services.